Peter Case is an American singer-songwriter and guitarist, born in Buffalo, New York, April 5, 1954. Case has had a wide-ranging career ranging from new wave music to solo acoustic performance. In 1976, Case teamed up with Jack Lee and Paul Collins, to form early new wave band The Nerves in San Francisco. The Nerves' 1976 single, "Hanging on the Telephone", was eventually recorded by Blondie. After The Nerves disbanded, Case moved to Los Angeles and formed pop-rock band The Plimsouls in 1980. The group found success with the song "A Million Miles Away", but disbanded soon after. After The Nerves disbanded, Case moved to Los Angeles and formed pop-rock band The Plimsouls in 1980. The group found success with the song "A Million Miles Away", but disbanded soon after. Case briefly toured with Gurf Morlix, Victoria Williams (Case's first wife), and Warren Tornado Klein in a group called the Incredibly Strung Out Band, which never released a record. 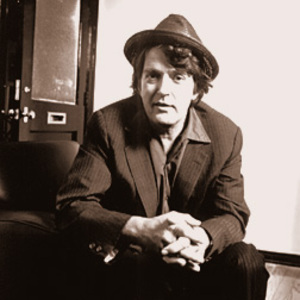 Case struck out on his own with a self-titled album released in 1986 on Geffen Records and produced by T-Bone Burnett. The album included a number of songs cowritten by Williams, and also featured the talents of John Hiatt and Roger McGuinn of The Byrds. In 1989, Case released a second solo disc, The Man With the Blue Post-Modern Fragmented Neo-Traditionalist Guitar, this time with the help of artists like David Hidalgo of Los Lobos, Ry Cooder, and Benmont Tench. While not a hit, the album was a favorite of critics and other musicians: Bruce Springsteen told Rolling Stone that he was listening to Peter Case more than anyone else that year. Throughout the '90s and early 2000s, Case continued to release discs as a solo performer, moving in an increasingly acoustic-based direction, and playing clubs and small venues. His typical solo performances have featured his own compositions as well as covers of songs by Memphis Minnie, Sleepy John Estes, Bob Dylan, Neil Young, and others. In 1996, The Plimsouls reunited for a few shows and some recording sessions, and they have given occasional performances since then. Case is also an active musicologist: in the late 1990's, he curated the musical program for the Getty Museum in Los Angeles. In 2001, Case organized, produced, and performed on a tribute album to blues music pioneer Mississippi John Hurt. Case also had the chance to perform Beatles songs at the Hollywood Bowl with Sir George Martin. Who's Gonna Go Your Crooked Mile?